The Second World War is a favorite for modelers, and this comprehensive guide to techniques suitable for 1/72, 1/48 and 1/35 scale tank models will be invaluable to modelers wanting to recreate the iconic tanks of this conflict. 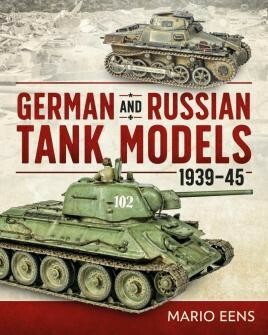 From the Russian T-34 at the time of the battle of Kursk, and Su-152 in winter camoflague, to the German Panzer I in North Africa, and the gigantic Maus, as it might have appeared just after the war ended, this book offers a wealth of detail into the necessary tools, paints and techniques to perfect a realistic finish. For a model-maker who has some experience, and wants to push on with detailing and painting, this an ideal book to spur them on. Recommended. In one publication you will get detailed description of several projects. Those articles might teach you some new things, which will improve builds. It is also nice to see all main scales covered with builds.